We want to take a moment to with everyone Happy Holidays and all the best for 2018! Now that the bikes for Nordic backers have arrived and we have been able to get Stark Drive into the hands of several Stockholm based backers, we had the pleasure of receiving some unboxing photos from the first ever backer of Stark Drive. You can see them below. Note how we are super proud of the organization and packing of the bike within the box. We are interested in the whole ownership experience of Stark Drive. While the assembly is not at all extensive as Stark Drive ships with the front tire removed for more efficient space utilization within the box. Below we have one of our early backers Manu describing his experiences backing not only Stark Drive but also a few words about crowdfunding in general and how Stark Drive has exceeded his expectations by delivering an ultra affordable travel mate in record time, especially when one compares it to competing projects/campaigns that he has backed in the past. We want to wish Manu and his wife a merry christmas and we hope that he rides with pride knowing that he has helped us in achieving the altruistic goal of launching and making available the most affordable electric bike in the world. Another Swedish (Stockholm based) Backer has received his bike and he had a few words to say about Stark Drive (In Swedish). First Stark Drive Delivered to the First Ever Backer! 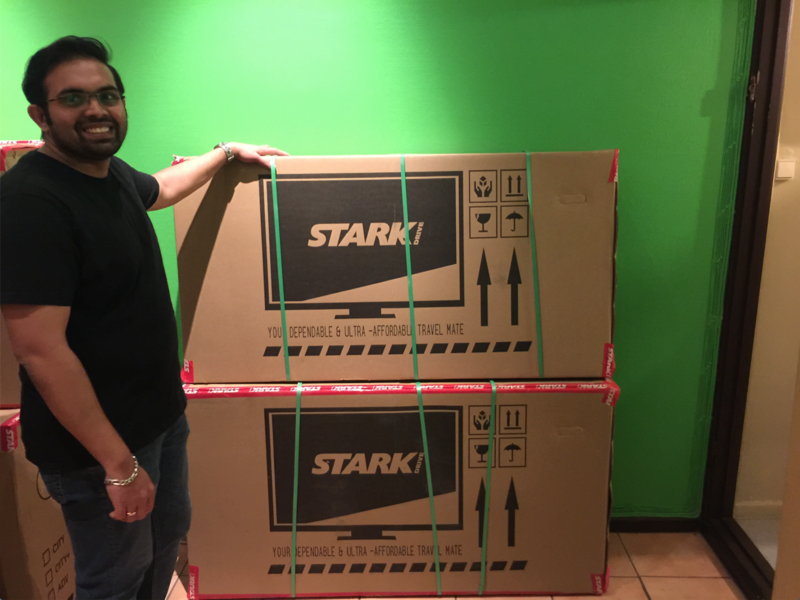 We want to extend an extra huge THANK YOU to Alessandro whom is the first Swede to receive his Stark Drive electric bike but its actually a lot more then that. Alessandro is the first ever backer of Stark Drive on our crowdfunding launch through our own website after having our campaign on indiegogo under never ending review due to our lovely competitor Mate.bike filing a fraudulent DMCA claim against us oh so many months ago (February 23rd to be exact). 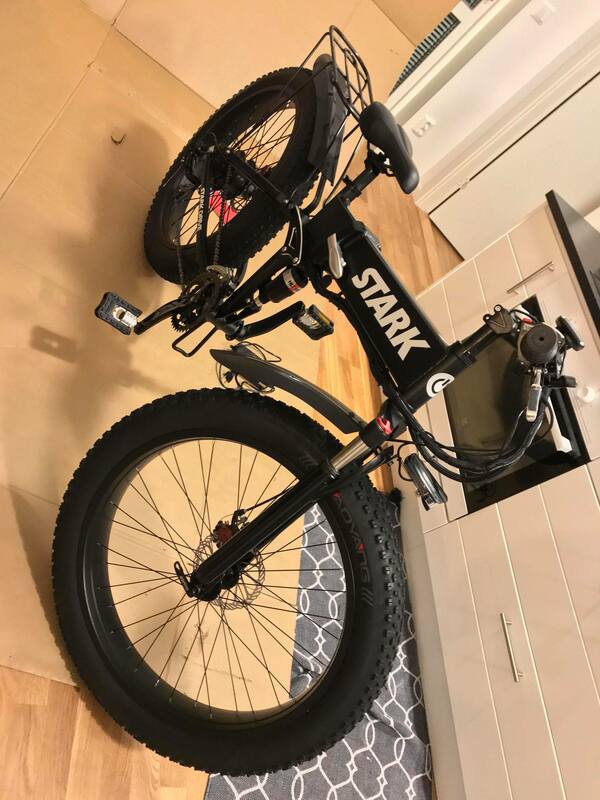 Alessandro, we really hope you love your new Stark Drive and remember we are here to help you if you have any questions and we would love to get your feedback when you have more of a chance to take our Fat Tire bike for a spin around Stockholm. To our backers in South America, Merry Christmas as you have now all received your tracking numbers for delivery via DHL of your Stark Drive Electric Bike. There seems to be some confusion over at the tracking website for these bikes as its reading that there is some type of hold up or delay in customs. I have just corresponded personally with our logistics team in China (whom apparently never sleep and work on the weekends) and they have stated that US bikes will be delivered before Christmas starting this week. There was a bit of confusion about the delivery of the Swedish bikes as Marsk believed that they could take a container and drop it in front of our store front for unloading which turns out to be illegal. This delayed the shipment by a day so they are destined to arrive at our shop on Tuesday December 19th. Once we receive them we will process all the bikes and send bills for Customs and Duty fees and then reship (in the event that the backer is not in Stockholm) these bikes to their final destination. It pains me to say this next bit but being brutally transparent, we can not guarantee that they will arrive to all final destinations before Christmas. The bikes were processed through German Customs last week after spending several weeks in the Netherlands waiting for processing and now that they have cleared customs they are being sent to Poland to receive their final tracking numbers to the end backers. A very long and frustrating process but a good lesson for the future of Stark Drive. Tracking numbers will be uploaded to your Stark Drive account, we are not yet aware of which carrier will be used. As long as you have paid your Duty and Customs fees, there is nothing more you need to do except be home to receive the shipment. 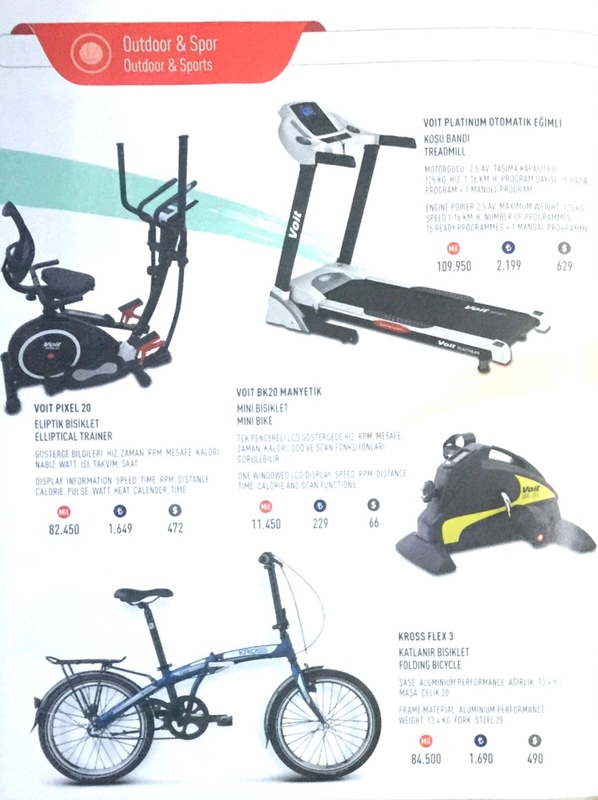 On a recent trip I decided to do what most must do and pass the time browsing through the onboard shopping catalog on turkish airlines. While most must admit that pricing at airports can be a tad on the high side, it was really surprising to see the non electric folding bike pictured here for sale at ($490) that was about 25% more then our base model of Stark Drive ($399). Although this bike more matches the Stark Drive Mini we are launching next year for $299 which will makes this bike approximately 70% more expensive. Wow, finally things are going right in terms of Batch 1 Deliveries! The EU Bikes have finally cleared customs and we will have local EU tracking numbers for those that have covered their duty/taxes early next week. Everyone has covered these fees! North America bikes have cleared customs and are waiting for UPS to pick them up from the port which will happen before December 16th. Nordic bikes have cleared customs and are being delivered to our Showroom and will be available for pickup (and of course reshipping in the event pickup not possible) as of Monday December 18th. It is a wonderful Christmas for our Stark Drive Backers. Thank you for all of you who believed in us and backed our dream to launch the most affordable and fully featured electric bike in the world. Its officially under fully production. We have signed an agreement that the bikes must be completed and leave China before the Chinese New Year. Its a much larger batch of bikes this time which makes us happy. We firmly believe that once the first batch is in hands of our Batch 1 backers and being ridden around the world, the word will spread like gangbusters. We want to reduce the time between batches but for this we need a larger volume of backers so that we can hit the minimums our factory requires to get this unbelievable (Some mates refer to it as scam) pricing. We have finalized the configuration(s) for Stark Drive mini. Once the prototypes hit Stockholm, we will start with our push to create the best informational/promotional video which we will eventually use to launch on Kickstarter early next year. We have learned a lot of lessons (some the hard way!) about how manufacturing works in china and the delivery times involved. These lessons will help us to build/manufacture/ship Stark Drive Mini in record time, not the year that some of our competitors might make you wait, to receive your rewards. We are both excited and frustrated over here. Excited because there is definitely progress being made with the deliveries, frustrated because it seems that in some cases customs clearance is taking an inordinate amount of time. I suppose from one perspective this is not unexpected considering its right around christmas and Black Friday (which at least in sweden turned in to Black Week) spending has surpassed all time highs meaning that even more must be imported into the respective countries further delaying any items already arriving. These bikes arrived on the 18th to the EU to the distribution location, however after sitting there for over 10 days, late last week the logistics partner decided to move them to Hamburg to do the actual customs import, the first customs clearance was to clear at a higher level whereas the final clearance from within the EU actually determines values and collects all duties and taxes (which we have already paid). We have pasted a bit of the conversation with our logistics contact below where we are clearly very frustrated at the delays because they only here from one of us whereas we are hearing from hundreds of people every day. We dont have a finalized date for when these bikes will clear EU customs but please know that everyone has paid the EU DUTYS and TAXES and this information is already in the hands of our logistics partner so once they clear customs they are shipped directly with no delay. We expect this import to go much more smoothly. ALL UPS tracking numbers have already been added to the backers accounts so as soon as its clears customs it goes directly out by UPS to the final backers. Your bikes have been shipped many of you have already contacted us after receiving your BL for the delivery and most of you have already been emailed from the local logistics departments in preparation to receive your bikes. The same in south america. If you have any questions about this fire us off an email. Seems the only thing going according to schedule for us is the Swedish delivery. We received the call last Wednesday about the arrival of these bikes to the port and the delivery is currently set for the 15th of December. Once we get them, we will reship those that require reshipping to the final backers after we confirm that the duties and taxes we prepaid are compensated. Along with this shipment comes the prototype Stark Drive Mini which is the next phase of our Master Plan You can read about by clicking on the link. We know the updates have been somewhat sparse recently but thats not because nothing is happening, quite the opposite, we are trying to coordinate the delivery of hundreds of bikes, checking addresses, phone numbers, status of taxes paid and in rare occasions fixing addresses where people have moved etc. Please know that we are finally after months of delays in the home stretch for batch 1. Super excited to announce that the bikes for Argentina (we just have a few backers there right now but I think its going to explode after they start talking about the most affordable electric bike in the world) and they left on their boat journey to the port in buenos aires. We are hoping its a quick and uneventful journey as the bikes will still have to travel to their final destinations once they arrive. Below you see a video of these loaded onto the carriers container. We are also excited to see that Sweden is once again taking a leading role in environmental change in that the gift that has been designated the gift to give in 2017 for christmas turns out to be Electric Bikes. 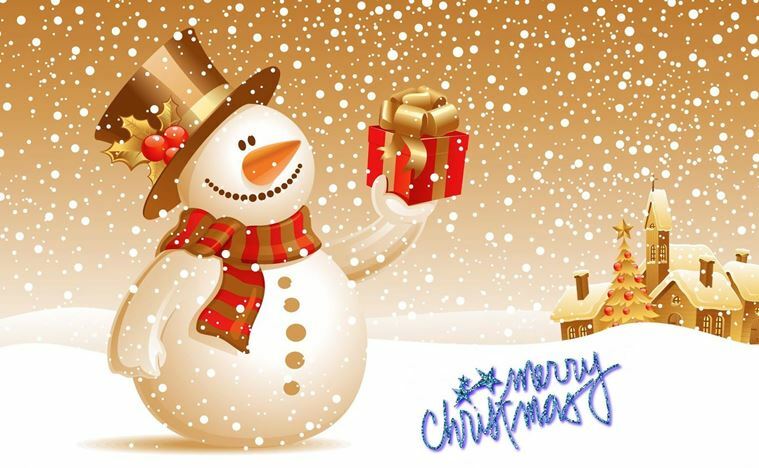 Now there are a lot of choices out there from the affordable to the very not so affordable on the market but our hope is that even if the spending budget is not so huge people will be able to afford to give the gift of Stark Drive. Swedes are somewhat luckier as the government has decided that if you purchase a two wheeled electric powered device such as an electric bike or a moped then you qualify for an additional 25% Rebate paid effectively by your taxes. How exciting is that. This makes the base purchase price of Stark drive under 300 USD, IT'S UNBELIEVABLE! We think this is great! It will allow people to upgrade Stark Drive with the extra funds or even back one for a friend so you can enjoy the picturesque cityscapes together. As of now, all batch 1 bikes have been shipped, now we are onto batch 2 and beyond! Our plan is still to launch Stark Drive mini on kickstarter early next year, they will be arriving to stockholm in December and then we need to work some movie magic to get a good promotional video, the positive is that by the time we launch Stark Drive Mini on kickstarter, Stark Drive will have been tried and tested by hundreds of backers to (hopefully) fantastic reviews. We want to once again thank the people that believed in us and helped us to relaunch when Indiegogo/Mate decided they wanted to keep electric bike prices high and not allow competition in the ebike market. Firstly, we would like to apologize, its been a bit too long since our last blog update but that does not mean that things have not been moving along. As was talked about in a previous post the bikes for the USA, Canada, and South Pacific have finally been loaded and sent to the shipping terminal to be shipped out to all the backers in these respective areas. When we talk about dates, these are the dates we have received from our counterparts in China, and sometimes they tend to be inaccurate by a few days due to numerous issues that pop up along the way. We had originally stated that the USA and Canada bikes would be loaded for the 15th, the reason they were not was because the carrier (whom has been paid in full) at the last minute decided that he wanted to add on an extra 25% to the price for what they called Duty fees. It took a day to sort this out as there are no Duty fees for electric bikes when they enter the USA. This was frustrating for us as it would mean an additional cost to our backers which is totally unacceptable. We finally managed to fix this issue by politely reminding them that we are fully ready to move to another shipping carrier and they could refund the nearly 30.000 USD that they were paid for the shipment. After this and showing them quotes from other carriers, they finally agreed to ship the bikes as originally agreed. This is unfortunately how things work in China and we are learning as we go. 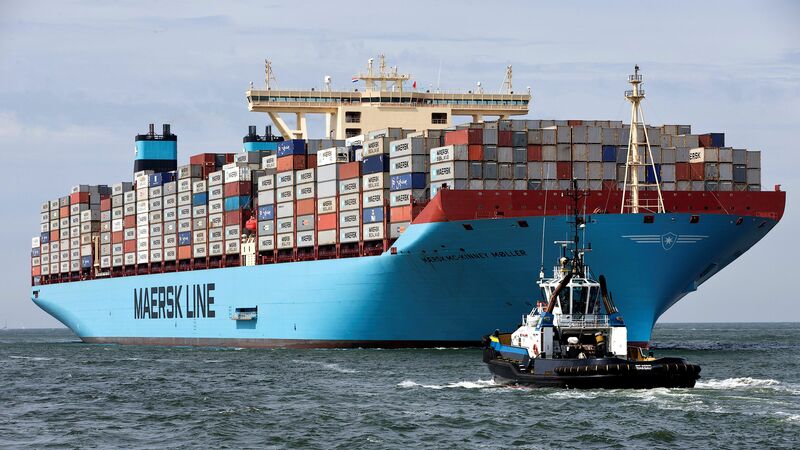 Fortunately for us, there are literally dozens of other carriers that were more then happy to take this shipment for us and this is what was ultimately our key negotiating point. Below you will see photos with descriptions of what you are looking at, the shipment to the USA and Canada are not on the same boat as are the shipments to the South Pacific. The South Pacific (cook islands, fiji, new zealand, australia etc) were sent the following day (Today actually) on a boat that is destined for these locations. From what we have been told by our carrier, the shipments to the pacific islands will first arrive in New Zealand, which has regular ferry service to these islands and go from there. Very important: All of you backers on the islands have been contacted already but just to make sure, you need to be there at the terminal to pick up your bikes as our shipping agreement only covers delivery to the port. Some might ask why we have not air shipped to these islands instead of boat shipping, quite simply try as we might, no airline carrier would take these bikes with the batteries in the box due to what they term hazardous goods due to the high energy storage capacity of the batteries. We have certification of the packs that they are safe and that they are built with the highest quality Japanese battery cells however this didnt seem to matter to the carriers. Furthermore, we dont have very many backers in the South Pacific ( as of yet anyways) and the costs for sending these via air were astronomical. We were originally told that the EU bikes would arrive to the distribution center on the 15th of November and you can see below in the tracking window that was sent to us by our carrier that they are nearly there, they will in fact be there on monday. It seems that the customs clearance took longer then was estimated by our carrier. This is normal and its not something that we can control. As promised however, once they get to the Netherlands to the distribution center, we will finally receive tracking numbers for each box and from there they will go to the end backer. If you have not paid your customs and duty fees for your bike, they will be held at the distribution center until you do and if it is not paid within an allotted time, they will be sent to Stockholm and then additional shipping fees will be charged to get the bike to you. We have a record of everyone that has paid, there is no need to confirm and we will contact any backers that have not paid, no contact means no problem. We dont have much information on these right now as the waybills are being completed for each bike by the carrier, once we do we will post another update however the good news is they are now in the process of being sent to California for import. We have paid for everything including import costs and transfer to local carrier and ultimately door delivery for these bikes. Once they land in California and are transferred to the local carrier, we will have tracking numbers for each individual bike which we will update on your account. It will take approximately 3 weeks from what we are told for the bikes to get to California. There are no customs or duty fees for USA backers however Canada backers will have these costs added onto their shipments and this will be charged by the local carrier (Local carrier is UPS from w we are told right now). We at Stark Drive certainly hope that everyone knows by now that we are not after fat profits and overcharging people whom are interested in electric bike technology, in fact quite the opposite, our margins are razor thin on these bikes as we have eliminated every single middle man in between the factory and the end user, this in itself comes with complications as delivery times can draw out as we dont maintain any 'stock' or 'warehouse' so to say. Every single bike that is backed on our website is custom built for the backer and this takes time. When someone backs a bike, the configuration goes and aluminum is literally smelted and formed for each individual bike. Besides the vehicle industry, i do not know of any other company that has attempted to control every single point of manufacturing from raw materials to end customer. For the first backers of stark drive, patience is the key. Please understand, we are not after profits, we are not a scam, we are simple a small group that is trying to shake up the industry in order to get what we think is awesome tech to the end backers and ultimately our goal is to reduce GLOBALLY the prices of electric bike technology so that the industry is FORCED to follow our lead. Once again, we want to express our thanks and gratitude for all of you who trusted us with your funds in order to make our dream possible. Sample Tag which identifies each bike. South Pacific Bikes Sent the following day. Tracking Info for EU Bikes.